Boating is a small world. Boating on the northern BC coast is an even smaller world. When I pulled into Shearwater, I knew the people on three of the five non-flotilla boats. We'd crossed paths before, traded stories, and shared drinks. 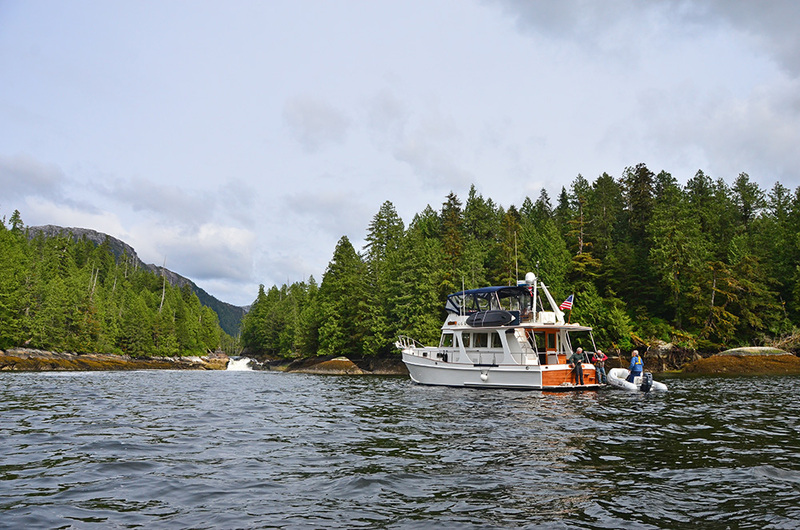 Today, in Hartley Bay, I ran into C-Dory friends Gene and Margaret on Reef Madness. They're also Alaska bound, although their Tomcat moves a whole lot more quickly than my Nordic Tug. Yep, small world. We had a short run up to Lowe Inlet this morning. 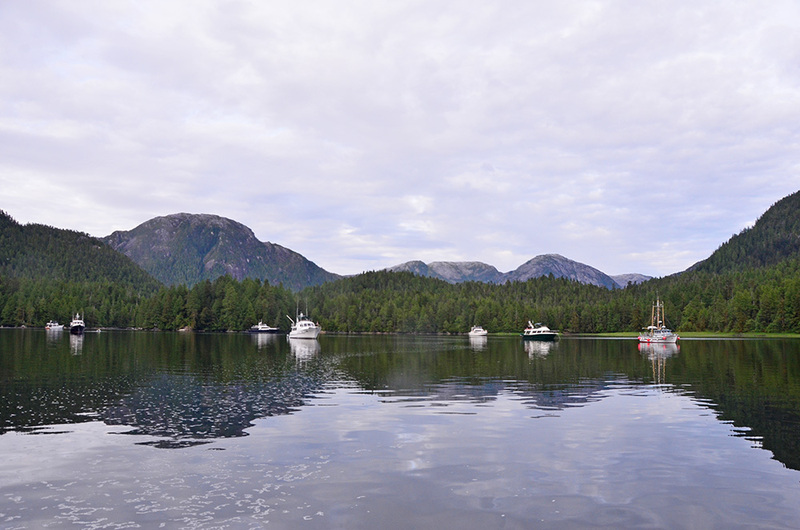 Lowe Inlet is one of my favorite anchorages on the coast. 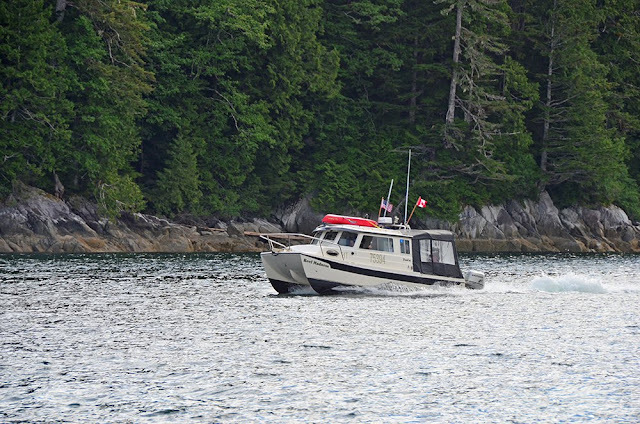 It's spacious, though a bit deep, and strategically located for transiting Grenville Channel. It's also beautiful—cliffs rise dramatically, a waterfall plunges into the head of the bay, bears roam around on shore (and catch fish in the waterfall later in the season). 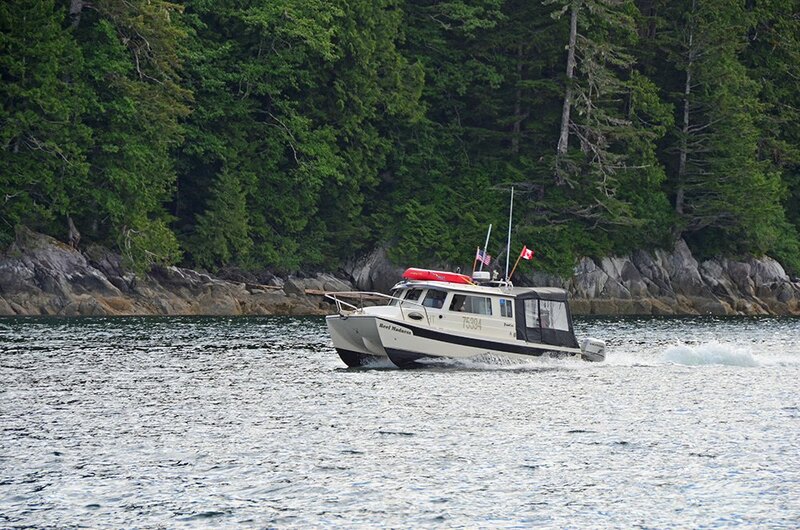 Gale and Guy on Stormy invited the whole fleet over for happy hour. 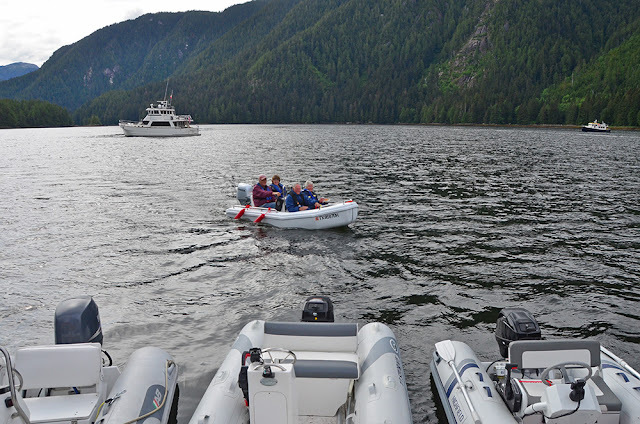 I think we ended up with 20 people aboard and seven dinghies tied to the swim step. Thanks for hosting everyone! The weather cooperated enough for a quick drone flight (meaning it wasn't raining). The light wasn't great, but it's neat to see the lake behind the waterfall. 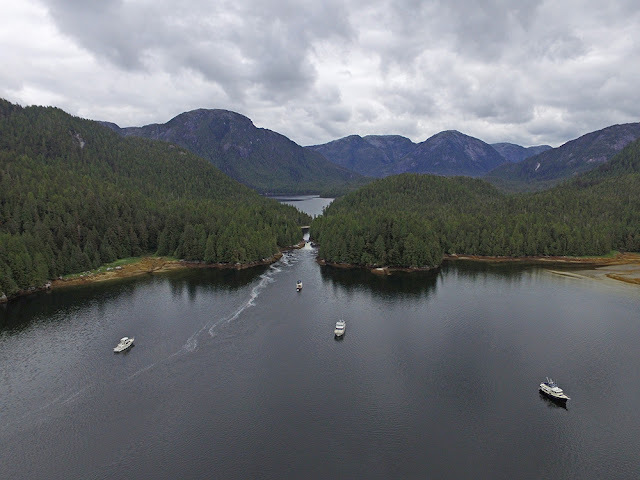 Tomorrow we have another long day to Prince Rupert, then we'll try to sneak across Dixon Entrance in front of what's looking like a pretty serious weather system.